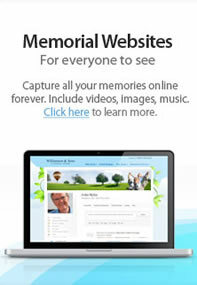 Welcome to the website of Morizzo Family Funeral Home and Cremation Services. Our family run business has been serving the residents of Streamwood and surrounding communities with cremation and funeral home services for 87 years. This website has been created to offer a useful resource to people who have recently experienced the passing of a loved one or who want to consider making their own funeral arrangements. Remember, you are not alone in this time of need. Contact Morizzo Family Funeral Home and Cremation Services at 847.752.6444. · Our business philosophy is very simple. When you come to us, you will be treated as our family and we will try our best to ease the pain of the difficult time you are going through as much as possible. We are free from national chains offering flexibility in our funeral services and will continue to operate our funeral homes as a family-owned business. Our family run business has been serving the residents of Streamwood. We will continue to strive to offer the highest standard of care to families. · We are aware that dealing with a funeral home is never easy as people don't find it easy to trust someone that they don't know. However, we have built a reputation for dignity and quality over the years by providing compassionate, caring and dignified funeral services to the residents of Streamwood, Illinois. We have a number of qualified and experienced funeral directors and every funeral director makes sure that meticulous personal attention is given to each detail and this quality service starts from the first moment we are in touch with the family. · We offer a wide variety of services ranging from cremation to traditional burials. We also provide Traditional Indian funeral services as well as Catholic Traditional services. We cater to all denominations. Our family run business has been serving the residents of Streamwood, everything is planned per the wishes and direction of the family under the guidance of our professional friendly staff. Our funeral directors will take care of every aspect of the funeral service that includes prearranged funerals as well as various other arrangements. We also provide funeral shipping services. · We pride ourselves on offering a professional, caring and compassionate funeral service, serving the families of Streamwood. Give a call to one of our funeral directors if there is anything that you are not able to find on this website. We also offer assistance to people who want to prearrange and prepay for their own funeral in addition to helping families who need immediate funeral arrangements. The prepayment funeral plan is best for those who would like to make all the arrangements in advance for the type of funeral they would want provided. It also helps the grieving family by giving them enough time to mourn and not make several tough decisions at such a difficult time. · Morizzo Family Funeral Home and Cremation Services: A Supportive and Sensitive Funeral Home, serving the families of Streamwood; providing: Care. Compassion and Support. These are the words and sentiments you want to hear and feel when a loved one passes away. Morizzo Family Funeral Home and Cremation Services embodies these sentiments in every service we provide. We know that the loss of someone you love is difficult and that it can be overwhelming to worry about funeral arrangements on top of everything else. For 90 years our family has helped families like yours take care of funeral arrangements with care and sensitivity. We tailor to the needs and wishes of your family so that you can spend more time with your loved ones and less time planning for a funeral or a cremation service. As we do so, we provide the proper respect your deceased family member deserves. · Morizzo Family Funeral Home and Cremation Services understands that there are many good funeral homes in the Streamwood area; we strive to differentiate ourselves from our competitors by offering the best service possible at a difficult time. We pay close attention to every detail in order to take care of both you and your loved one with the utmost degree of care and compassion. Our skilled staff is always there when you need us. We respect your loved one and appreciate the trust you put in us to be your funeral home choice in the Streamwood area.